After a lengthy battle, education workers across the province have had their collective bargaining rights upheld in court. Photo by Tanya Witzel from the Torontoist Flickr Pool. 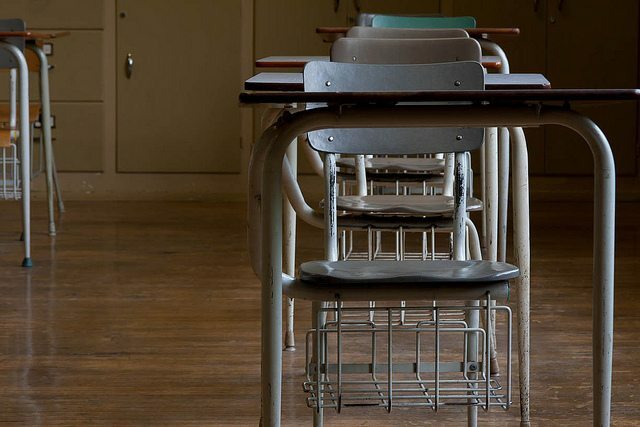 An Ontario Superior Court of Justice judge ruled last week that Bill 115, also known as the Putting Students First Act, violated the Charter rights of education workers across the province. The law has since been struck down. Bill 115 imposed conditions on education workers and instituted timelines for reaching collective agreements, according to Ontario School Board Coordinating Committee chair Terri Preston. If a deadline was reached without an agreement, one could be imposed on the workers. The conditions workers were no longer able to bargain for included sick leave and other monetary benefits. It was on the basis of these impositions that the court ruled in favour of the unions, and found that the provincial government had violated their Charter-granted freedom of association, which for unions includes the ability to bargain collectively. “I think it does put governments on notice in terms of trying to interfere with unions’ collective bargaining rights in the future,” said Preston. Since the court ruling last week struck down Bill 115, the unions involved in the Charter challenge will have to work with the provincial government to reach an acceptable remedy. If they fail to do so, the judge who ruled on the case may be involved. Preston’s union went into talks with the provincial government voluntarily, which was the process at the time. She says the provincial government was involved in the 2012 round of bargaining in a way it hadn’t been in 2008, when the school boards (who are the actual employers of education workers) directed bargaining. While the provincial government was engaged in several different rounds of bargaining in 2012, the only group it chose to interfere with was education workers, Preston claims. The ministry is reviewing the SBCBA as well, according to its statement.